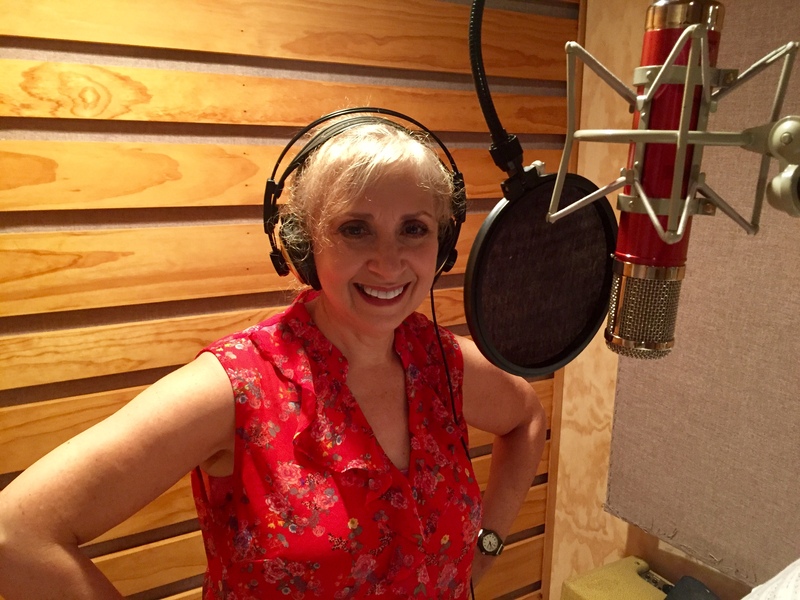 A recent client, Penni Warner, bravely stepped into a new creative role to record for the first time. With her newfound confidence, she writes to share some tips on making the transition yourself, and making the best of it. I met Barry about a year and a half ago through a friend whose music he’d produced. At first I was very intimidated. I was calling New York from Missouri, and this was my first time recording anything, so I was not sure how the process would go. The first time we spoke on the phone, Barry allowed me to ask every question I had. I could tell that he was genuinely interested in helping me make my project just the way I wanted it. And he was always kind when I asked the same question more than once. Barry did much more than produce my project. In a way, he became a mentor to me. He created an experience that was hands-on for me, even though it was long-distance. We both worked from home; I was able to record at a studio in Missouri, and he hired musicians and recorded them in his home studio. So that I didn’t feel too far away, I sat in on those sessions via FaceTime. I call Barry “the people’s producer” because he is so committed to making the experience meaningful for everyone involved. I would call Barry often, asking to change things again and again! I remember apologizing, but he assured me that it was his job to see the project through exactly how I wanted it. He didn’t want me to hear something I didn’t like and regret not speaking up. Despite my lack of confidence, he walked me through each step of the process. By being so encouraging, Barry created a truly inspired work. Not only did he produce my project, he brought a creativity out of me that had gone dormant for a very long time. There is so much to say about Barry that I have not mentioned, but most important is his wonderful personality and dedication, and it was a real pleasure to work with him. I look forward to our next project and I would never dream of going to anyone else. Find someone who understands you, who you enjoy working with. It’s worth it. To learn more about Penni Warner’s “Love Chaplet” please visit https://www.lovechaplet.com. After my internship in 2013, I left you with this post talking about a few weeks in the life of a music producer. Soon after, Barry talked me into trying The Artist’s Way. One of the star performers in Barry’s ever-expanding list of book recommendations, The Artist’s Way really set me up to pursue a more productive and purposeful creative life. To kick off that life, I settled on a Music major at Northeastern University with a concentration in Music History and Analysis. I grew to love it, and the freedom it allowed me to be cerebral. While there, I worked at a custom guitar shop in Texas (and learned how it feels to work on something you truly love for almost no money at all), the maker of a digital audio workstation in Boston (and learned how brutal startups can be), and a Boston-based branding agency (and finally found the validation of writing for appreciative clients). I wrote for the school’s culture magazine, reviewing shows and redistributing tidbits of music history. Sometimes I sent Barry emails with laundry lists of creative endeavors and frustrations, and heard about his own busy schedule in schools and the studio. When I graduated, I went through The Artist’s Way again, this time with friends I made in college. And when I came back after graduating, Barry had a long list of projects ready for me to tackle. My guitar, hand made with lots of help from Moniker Guitars. Playing with the Northeastern Concert Band. Attending Summer NAMM in Nashville. I like to take on the tedious first, and we did have a game plan. We thought we’d start clearing room in the studio — both mental and physical. We’d clear a long list of things Barry had been wanting to do, but didn’t have time to streamline himself. We’d fill the free space later, and invite more work in as we got more done. Our plan still is to keep plugging away and using the energy of the work accomplished to propel us forward into wider-reaching projects and ideas. We started with the mammoth pile of sheet music that started accumulating . . . well, when there were still mammoths around. We wanted to sort through the well-over 2,500 titles and match them to files already in Barry’s iPad, for a more portable library for private event gigs. The dullest story in the world, which I won’t tell you, ends with us taking photos of unique copies for the iPad, saving a few to find later, if we need them, and deciding a whole lot of music wasn’t worth saving at all. It’s dull to recount, but was a really great way to get back into studio work. I had time to think about things I usually put off, and more than enough time to listen to new music. I realized how many standards I’m still not familiar with. I remembered that Shaggy exists. And Barry opened up shelves of space for new inspiration to live on. Since I can’t get enough of artist brain activities (repetitive or neutral tasks that give you time to exercise the creative, childlike part of your brain), I also started a toy-chest restoration project. Barry had a wooden chest he’d painted years ago for his kids — it’d been gathering dust in the garage for years more. He gave me creative control and several cans of paint leftover from his technicolor home renovation. We painted the framework black for a little bit of an edge, the side panels lime and electric blue, and left a happy surprise of fuchsia on the entire inside, like a velvet lining. Now there’s a fun way to store clutter in the form of gig bags. And if Barry ever leaves music for a different kind of live performance, he can always start pulling rabbits out of it. But he’s committed for now, so we decided it was about time to repurpose one more thing: a heavy glass table, 3’ x 5’, from his sister’s apartment in the 80s. It was his kitchen table at the University of Miami, then his Mom’s, then his again, before his wife finally banished it from the house. Barry’s vision was a floor-to-ceiling wooden frame around the glass tabletop, as a sort of semi-soundproof recording “booth” that could be pushed around to modify the space. In a day, we put together a formidable wall in glass and pine to match the rest of the studio, and settled on some knotty pine plywood on hinges to create a trifold that would enclose the performance space against the corner of the room. On each plywood wall, we hung a fabric-wrapped absorption panel. Because there’s only one layer of material on each wall, it’s really only halfway to being truly soundproof, but it greatly reduces any white noise coming from the computers, air conditioning, or house inhabitants. I tried to get the kids to yell at me through it, but I’m a worse influence than they’re ready for. We’ll do a more vigorous test when they’re both teenagers. Once the physical space was cleared and remodeled, we started thinking in earnest about the Bigger Picture, starting with Barry’s website. The site then was functional, but outdated and complicated. We wanted bring Barry more into focus as an accessible working producer, eager to solve problems for musicians. Barry’s priority was to emphasize how he can help — mine was to put it out there in a clean and modern way. Since we wanted to keep a lot of the same information while revamping the style, we archived the entire old website for reference. I told Barry I would like to dramatically streamline the experience, ideally, delivering the full story without even leaving the home page. We searched for WordPress themes that would make a long scroll though the homepage intuitive and engaging. After a little poking around design blogs, we decided to narrow our search to themes based on parallax scrolling, in other words, scrolling past background images to create a sense of layers and responsiveness. We chose the theme HashOne, which also features fun animations that make the experience feel like a series of events, instead of skimming a static page. Pulling text from the old website, editing or reframing it, and writing new sections entirely, we created a wireframe, or a roadmap to what the entire finished website should look like. We trimmed a lot of fat. What do people really want to learn? What are they willing to ask more questions about? The new website starts by shouting Barry’s name, and displaying slides to call attention to studio news. The next section introduces him and his goals with a personal message, and links to a page of specific credentials that someone further down the pipeline might want to see. We’ve “hidden” them from the home page so they don’t interrupt the discovery process with too many details. Next on the home page, visitors can choose categories of music samples and read blogs about the process. After they’ve listened, they move on down to a services section, where they can click through to a more detailed grid. But we kept the descriptions simple, because we would still rather hear from people and have productive conversations than try to over-explain a process that can change a lot from client to client. The composition section directs curious clickers to the Credentials page, where they can see a discography, and the music education section brings them to a new page dedicated just to private instruction and student resources. There’s even a student-made music video, like an easter egg, when you click to expand music education on the home page. To wrap it up, like a series of footnotes, are testimonials, blog updates, and a succinct contact section. Anything the reader wants to know, by then, can spark a conversation over email or social media. I’m sticking around for now, and some of our next to-dos involve populating the blog and starting a mailing list. We have lots of other ideas that we’ll start testing out on you, including music videos and maybe even instructional content. If you read ALL THAT (and even if you didn’t) I want to hear from you! Email us about what you want to see on the blog or in a newsletter, or leave a comment below. The following songs, in diverse styles, were all written and recorded for churches from Queens, NY (The Church Before The Seat of Christ and The Church of New Hymn), using their original lyrics. Each song is pieced together in a streamlined process that often includes the remote recording of vocals in addition to MIDI programming, live instruments and vocals recorded in Barry’s home studio. New projects are added often. Scroll down to hear the most recent songs. As a senior at North Salem High School, I’m enrolled in a class that entails finding an internship for forty hours, in whatever field you want, and creating a project to solve a problem specific to the student’s mentor or profession. 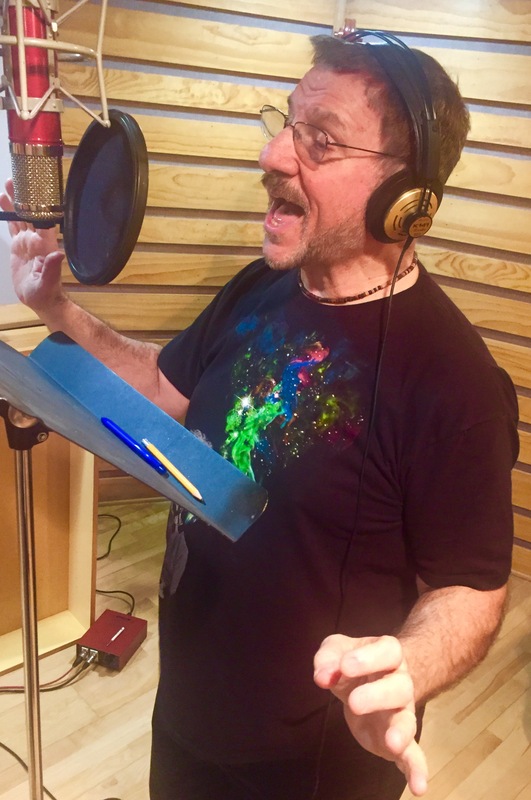 I called Barry and he surprised me by already knowing exactly what he wanted to work on: promoting a new project idea centered around families recording together, something he had been doing annually with his own family. My project became finding a family to record and going through the whole process – selling, scheduling, preparing, recording, editing, mixing, mastering – to really see what recording is like. During most of the forty hours, when I wasn’t working on the project, I would act as his “shadow” and experience what it’s like to work in music production. I planned to minor in music at the University of Vermont, where I could feel as though I was utilizing my ability as a flautist while majoring in something else that allowed me to maintain some sense of job security for the future. On the first official day of the internship, we took the train in to the city to go to the famous Avatar Studios. When we got there, we had to be buzzed in. We went up in a giant elevator, had all the instruments checked in, and arrived in a dimly lit hallway with no windows and an orange glow. I expected it to feel claustrophobic, but it was the opposite. In a soundproofed maze of pine, burlap, and warm light of Studio B, you can’t feel time pass. Barry introduced me to all the musicians in the project, and one of his students from Hostos Community College, Rue, who, like me, was along for the ride. Everyone was so friendly and welcoming, but it was great to have Rue there to talk to me while everyone else was working. He explained some of the technical aspects if I asked. I was just glad to have someone to talk to so I didn’t have to sit there alone and feel like an intruder. I started feeling emotional watching everyone play. I wanted to be every person working that day. I always knew I loved music, and I wanted to pursue it in some way. But I was hesitant. It’s a little risky. I’d been ignoring it, using my intentions to pursue a music minor to trick myself into feeling like I wouldn’t be missing out, while I wasn’t really taking any real steps toward a future in music. On the train home, Barry told me I should consider a music major, and I knew he was right. A total transformation in less than twelve hours. A few days later, we’re at Barry’s house, mixing a different project. We’re using Pro Tools. We used some of the plugins to modify some guitar tracks someone sent for a song Barry had been working on. We also rearranged and tuned some vocal tracks sent by the background vocalist. We had a list of requests and directions from the singer/songwriter, which was very useful to have for organization, and something so simple that I never would have thought of. In addition, we mixed the tracks we recorded at Avatar. I have a much better understanding of the mixing tools now (the knobs and sliders) since we had to adjust them all over again when the files were transferred from the Avatar studio to his own. We just had to decide which tracks we like the best, which meant listening to most of them at least once through, on their own, piece by piece. You would think you’d get tired of hearing the same song over and over, but when you’re really concentrating on the structure, it’s never an issue. Four days later, the task was to prepare tracks for vocals on a more hip-hop based album, so despite Barry’s usual aversion to “fake instruments”, he decided that a synthetic instrumental track would compliment the project well. We used a program called Digital Performer, and Stylus RMX to find and modify samples of different instruments and pre-recorded beats. We did a little sound shopping to see which samples sounded best in the context of the song. It was interesting to see all the little pieces coming together, and building on top of each other, all as a result of some keystrokes and clicking and dragging. When we were sending the new tracks to the artist, I asked Barry about his computer desktop photo (a picture of a very nice room) which prompted an enthusiastic detailing of his future house and an impromptu speech about visualization and creative processes. He told me that if you have something in your mind for long enough, it will grow until you can’t hold it anymore, and it will burst out of you into reality. He told me about his bookshelf, which he built on a whim one day because he had always seen it there, under the stairs, in his head, which is as good as it really being there. He told me that the only way to accomplish something is to remove all self doubt. It was amazing to hear him say all of this just based on his own experiences, and was actually incredibly moving. I wish I could recount this with some degree of eloquence, so it could carry the power it deserves. Regardless of my ability to relay this, everything he said stuck with me. I had heard most of those theories before, separately from each other, but hearing them together with so much conviction behind them created a kind of resonance for me that changed the way I thought about creativity. It’s hard to say what the most valuable part of the whole internship was, but this change of spirit is very high on the list. So thank you. For the next session, we focused primarily on making the vocal charts for the background singers (hip hop project). The artist knew what he wanted in terms of harmonies, so Barry just had to put them into Finale (like Microsoft Word for composers). He added a bar of Persian vocals as a cheeky reference to the lyrics and I was very excited that I could identify the mode he was using as a harmonic minor (a nice change from me appearing to know nothing about music). At this point, I had found a group of people to record a song for my OPTIONS Class project: the seniors that had been in the musical at my school. I told Barry that they would do it, and he suggested creating an arrangement and assigning parts, since most of them probably know how to read, or can at least listen and replicate what they heard. This wasn’t the original goal of the project, but it’ll be interesting. I’ll keep looking for families to record, but now there’s no pressure to get anybody within the next few weeks. About a week later, I was supposed to take the train in to the Bronx to Hostos where Barry teaches a Sound Design class. I ended up being sick, so it wasn’t the best idea to go in and…breathe on people. They’re recording an acappella group for backup on some of the songs. Rue texted me asking if I had Skype, so he just carried me around for a while on his phone. I ended up watching for an hour or two, even though I couldn’t hear or see a lot of what was going on. I heard most of what they recorded, though, and the harmonies they added were incredible. They were crisp, clear, and resonating even through the poor sound quality of Skype. I was glad to be able to watch, instead of brooding on my own with a box of tissues. Rue saves the day, again. Next, we’re back at Avatar, in Studio W this time. This one has a tiny room for recording – I tried to take a picture of the mic, backed up for a wider angle, and ran into the wall — and a larger one for mixing. It’s very small, but it was just what we needed. Barry refuses to let me be idle in the college major selecting process. We were on the train for ten minutes before he had his iphone out researching Northeastern’s music department (After a week of deliberation and tears, I decided to enroll at Northeastern, where the opportunities for a musician are greater). It’s hard to know which majors I would like because I don’t even know what I would really like doing, but it was so good to have someone who’s getting me to think about it. My parents want me to take it easy with the music ambitions, so if no one was pushing me, it’d be hard to figure anything out on my own. I know I shouldn’t need him to keep me on track, but I’m glad he does. Back at Barry’s studio, I was able to contribute by playing a “featured flute interlude” for the Avatar project. It was the easiest thing I’ve played in years, probably, but I was so nervous I had to sit down. This doesn’t usually happen to me. I think it was the difference between playing for a bunch of people who’ve never touched an instrument in their lives and someone who, at the very least, I didn’t want to be disappointed. I thought it was awful at first, but he insists it was good. After hearing the final production, I have to admit, it was pretty good. Finally, on May 11th, we recorded my project with a few members of the North Salem theatre group. I brought my camera and recorded everything, which I would later sync with the audio. SEE VIDEO AT THE BOTTOM. We started with everyone singing at once: the last verse and the subsequent double chorus. Barry grabbed his electric guitar and played some chords to keep everyone on key. He just asked me to sing it for reference and he played along with it. I don’t think he even knew the song. I have no idea how he does that. Dan and Natalie sang through the whole song individually and then had to leave. Cate and Irene did the same thing and Barry asked if I was going to sing. I wasn’t planning on being in it at all, but the three encouraged me to try it, so I was back behind the microphone for the second time in 24 hours. I somehow confused myself into ad-libbing over the group parts, so we recorded a second part where I did it on purpose, and featured my part over the others. I tried to feed the harmonies to Cate and Irene but there was too much confusion to get enough for the whole song, so after they left I punched in all the harmonies over again so we knew we’d have something good for all the phrases. People tell me all the time that I have a good voice, and I agree with them, but I don’t trust them. It’s hard to explain. Barry surprised me by telling me that he likes my voice, and he thinks I should make an album. I’m not going to do that, but something about hearing that was surreal and overwhelming. Sometimes I think he’s too nice to me, but I know he’s being genuine, so I guess I’ll just have to start accepting that. 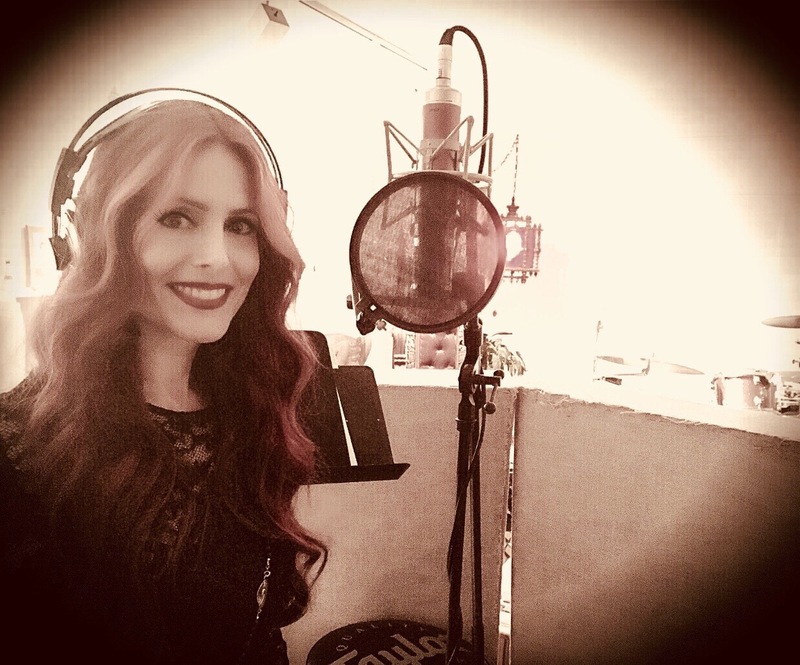 Three days later, Barry had a session with a singer, Keren, to do background vocals on the album we recorded the first day, so I went over to meet her and watch. I didn’t need any more hours for my class, but I like coming and seeing what’s going on – it’s always something different. I hope to be able to see more over the summer, as well. Keren was amazing. She was sitting there with a box of tissues and she still sang better than mostly any other person I’ve ever heard sing in real life. I always meet talented people here. The artist was there over Skype. He was happy to see me and he liked my flute solos. Halfway through the session Barry and I went to get his kids, Maya and Noah, at the bus. When we got back, everyone sat at the kitchen table and ate watermelon with spoons. I think it’s cool that Barry’s job can be so casual. It’s one of the things that made the experience so unique. You wouldn’t get that at a studio away from home. I don’t really know what to say. I’ve never seen an orchestra before, so I have nothing to compare it to, but I’ve never heard such clear sounds coming from any instrument. They were all so good. I kept forgetting I was watching people my age — and younger. It’s hard to come up with words for this because, as you know, you have to see it to understand it, so how does one quantify it in an email? I have to be honest, I didn’t really believe you when you said it would be inspirational. I thought it’d just be sad. Rue told me almost the same thing as we were waiting for it to start. I don’t know how he felt afterwards, but you were right, of course. It was weirdly refreshing to see a live orchestra…it almost made me wish I hadn’t quit band. Almost. It made me excited to play in college, in whatever groups I might join. It was a lot of fun just to watch, I think I was smiling to myself a little too much. I’ve been over a few more times. I met a trumpet and flugelhorn player who recorded for the first album. I also met an amazing violinist. I met more talented musicians in 40 hours (okay, a few more than that) with Barry than I had in my whole life. It was so inspiring to see all these people being great at what they do. And, of course, just knowing Barry was the most important part. I never considered a person could do so many things. Seeing so many possibilities is encouraging. I have a new sense of direction and openness. I was surprised that I liked it so much; it was always not only interesting, but fun to see what he does. This all started in 2005. 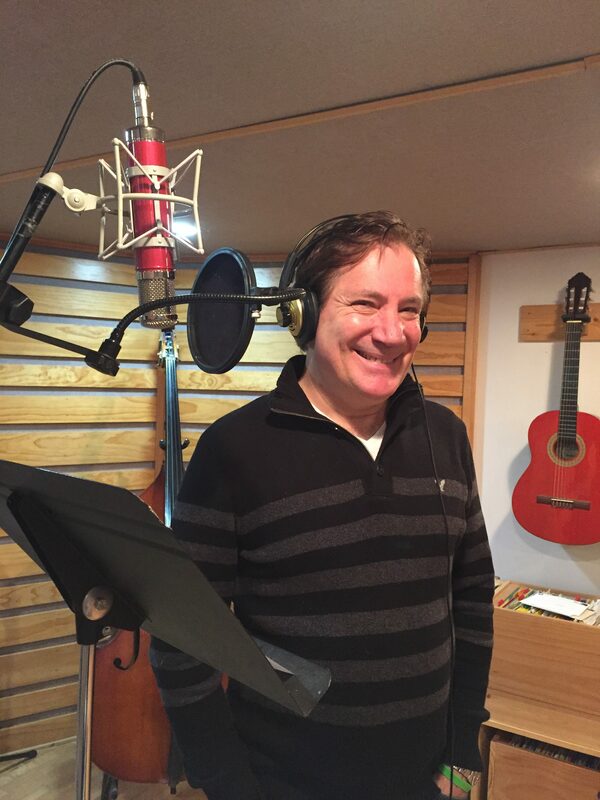 I thought it would be fun to record my father singing a few songs in my recording studio. Although not a professional singer, he has the sound and feel of crooners like Billy Eckstine and Frank Sinatra, the singers of his era. I recorded my dad singing a number of old standards and added some music accompaniment after. In 2008, my brother-in-laws, wanted to become part of the group and then they were also singing on the Father’s Day recordings for the next few years! The first time I recorded them all, they sang live with a piano accompanist (Tom Nazziola) that followed them and then I added a bass part after. A very different recording process. In 2011, I had a new idea. I suggested including the rest of the family (whoever was interested) for the recording. My father-in-law (the official song chooser) chose “Georgia On My Mind” and they all sang “Noah On My Mind” (for my son Noah) instead. I found a great sounding karaoke track and had everyone individually sing the song once through in it’s entirety to the track. A few day’s later I chose the best moments and assembled a very nice vocal arrangement, trying to feature everyone equally. Somehow I was able to create a couple of beautiful moments of overlap and harmony in editing. 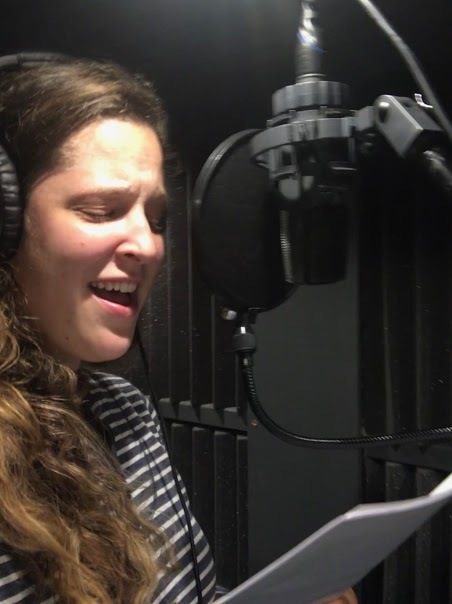 Last but not least, I overdubbed my wife and kids singing and talking in spots. Please visit my Family Recordings Service page if you are interested in doing something like this with your family or friends. It’s a lot of fun to do! Here’s the story about my dad, Harold Hartglass who was a great bowler in his younger days, bowling 3 nights a week. He competed in the 1968 Pro Am Madison Square Garden National Championship. Later all his bowling shirts, including the one from Madison Square Garden, were donated to a neighbor collecting clothes to send to Poland. Somehow it got into the hands of rock star Freddie Mercury and it was reportedly one of his favorites. We found it via an accidental google search around my dad’s 75th birthday when it was hanging in the Hard Rock Cafe in Shanghai. Now it hangs in Bahrain. Unfortunately, Freddie Mercury is no longer with us, but my dad, now 84, recently joined a new league and bowled a 217! In honor of his 84th birthday, which was on February 2nd, we are all going bowling today with my dad! I should also mention, that like Freddie Mercury, my dad also sings… Well, not really like Freddie Mercury, but maybe more like Billy Eckstine or Frank Sinatra. I recorded dad singing a few times in my studio and then my father-in-law wanted to get in on the act too. It became a Father’s Day tradition to record “The Grandfathers” singing together. Soon after, my brother-in-laws, became part of the group and they were singing on the Father’s Day recordings also. Last year, I included almost the whole family singing together on a recording on Father’s Day… A very musical family! Take a listen to the recording that started it all – my dad singing the classic song, “All The Things You Are.” He starts off by saying “This is for you Sugar.” Sugar, of course, is what he calls my mom… He ends by saying “Well,” which is his tribute to Billy Eckstine. Upon first hearing this recording, my friend Claudia Martin (one of my favorite singers! ), wrote “Who needs Sinatra?” Of course, my dad loved that. This reminded me of one of my favorite Dr. Seuss stories, The Zax, a typically silly Seuss rhyme, but also profound in it’s lesson about pride and compromise. When I was younger, I used to listen to every Todd Rundgren and Utopia record over and over after my friend Kim turned me onto them in high school. One of my favorite songs was “Everybody Else Is Wrong” by Utopia from their Deface the Music album (1980). The title and the sound of it, a sort of comical homage to The Beatles, always made me laugh. If you don’t like this song, you are WRONG and I will spend my life pushing against you! I was doing a live mix for Tom Nazziola and The BQE Project at a theater in Manhattan. BQE was performing Tom’s brilliant score to the classic film, Frankenstein. A few weeks before the event, Tom sent me the list of the equipment that the theater had and said that there will be no one there to assist me. OK, no problem. Doing a live mix is simple and involves much less equipment than recording in a studio. No problem. However, the mixer that was listed was an older Yamaha digital mixer that I never used before. I asked some engineering friends about it. One said not to worry about it and I’ll be able to figure it out and another said that I should definitely download the manual and learn about it… I didn’t have much time to read the 150+ page manual and I figured since there was no assistant, the mixer probably wasn’t too complicated. I decided to get there really early the day of the event and I brought all of my own mics and mic cables. I remember reading Don Aslett’s book, “How To Have a 48 Hour Day” and he talked a lot about the magic of EARLY. Really good advice, especially for this day! The first thing I did was look in the very small and very cluttered control room in the back of the theater. Wires and other things were tangled up everywhere and the digital mixing console I was concerned about on the equipment list was not there! There was a very simple, easy to use, small mixer instead. Good. Sigh of relief. But where do I plug in my mics? I looked around for awhile and eventually found an input panel on the wall to the side of the stage in a dark area. But the musicians were set up all the way on the other side. My 30′ cables were not long enough to reach the input panel so I had to go through the tangled pile of miscellaneous cables in the control room in search of more mic cables to extend the length of my mic cables. Eventually, I found enough extra cables. It’s good that I got there really early! I got there right before the group was about to rehearse and set up my 5 mics and all the cables. I looked behind the mixer and noticed that the wires that were connected to the mixer had tiny, and very faded out stickers with numbers on them, numbers that were apparently corresponding with the mixer channels. I assumed that all of the wires would be plugged into the correct channels. But I was wrong! Wire 1 went to mixer channel 1. Wire 2 went to mixer channel 2. But wire 13 went to mixer channel 3 and wire 14 went to mixer channel 4… Aha! Someone switched the wires and didn’t put them back, or at least leave a note anywhere for the next person (me). Or maybe there was a note somewhere buried in the clutter everywhere. If it was there, I didn’t see it. Luckily, I figured this out. I found the wires with numbers 3 and 4. I plugged wire 3 into mixer channel 3 and wire 4 into mixer channel 4, tested the mics and everything was finally working. I was able to mix both shows that night with no problems. “Float” is a word that’s used a lot in yoga when discussing alignment and controlled movement. Written to accompany a set of Kundalini Yoga workouts, this piece settles into a deep, dark “floating” space with drones, slow melodies, and lots of delay. Bill, one of the instructors, says this track gets him particularly “high” during meditation. After composing all of the music for their 2005 TV series, “Guru2Go” (15 episodes on Discovery’s FitTV), I was asked to compose the music for the Spirit Trainers’ yoga DVD a year later. To create the Companion Music CD, I selected my favorite compositions from the DVD, extending a few of them, and then re-mastering all of the recordings. I was asked to make up titles for the compositions for the CD. To do this, I tried to find interesting words said by Bill Donnelly or Jeff Bader (the Spirit Trainers) during their instructions for each yoga pose that my music accompanied. On an inhale, let the head gently turn to the left. and then exhale, letting it turn all the way around to the right… Let the head float on the top of the spine… Keeping the breath steady as if you are saying “No” to anything you no longer need in your life. This is a great exercise to do when we want to say “No” to our addictions; “No” to old habits that no longer serve us; “No” to any unhealthy relationships that are in our lives. As you are doing this wonderful neck stretch, say “No thank you” to the old patterns that no longer serve you. “Float” seemed a good way to describe the music so it became the title of my composition. The music was composed to go with the video. I created it while watching the video. The style of the music is based on what I was writing for the Guru2Go shows. “Float” features modified loops of drums, percussion and other unusual things from Spectrasonics’ Stylus RMX. The recurring 3 note motif was played with Applied Acoustics Systems’ Lounge Lizard EP-3. All of the other synthesizer sounds, including the lead synth playing the melody are from Spectrasonics’ Atmosphere. In addition, I also played the melody with an electric guitar – a Fender Stratocaster through a Line 6 Pod Pro. The music was recorded, mixed and mastered using MOTU‘s Digital Performer software. It is interesting how your music really goes deep. Particularly in “Float,” the sounds seem to really engage the brain and penetrate deeply – I always get really “high” when I do the meditations where I have used this track. Bring your elbows underneath your shoulders and then interlace your fingers in Venus Lock. Come up into half plank, a great posture for strengthening the torso, the navel center… Cross your hands, curl your toes under and lift yourself up. Work to make sure your body is as straight as a plank. Clearly, “Venus Lock” is the most interesting sounding set of words and so they became the title of my composition. The music was composed to go with the video. I created it while watching the video. The style of the music is based on what I was writing for the Guru2Go shows. “Venus Lock” features modified loops of drums, percussion and other unusual things from Spectrasonics’ Stylus RMX. Most of the synthesizer sounds, including the lead synth playing the melody are from Spectrasonics’ Atmosphere. I also played the melody with a Yamaha WX11 MIDI Wind Instrument triggering a sound called “Eastern” from a Yamaha VL70-m synthesizer. The music was recorded, mixed and mastered using MOTU‘s Digital Performer software. “Song for Immaculee,” was inspired by Immaculee Illibagiza and her book Left To Tell, about surviving the Rwandan genocide. The track is full of sampled African instruments and voices, and melodies informed by performances by African ensembles. The haunting music expresses sadness, but embodies an uplifting spirit. The ninth track on my SoundCloud Playlist is “Song for Immaculee” by Annie Karto. This song is from Annie’s CD, “Refuge” released in 2009, and was inspired by the book, Left to Tell by Rwandan genocide survivor, Immaculee Illibagiza. Immaculee’s book recounts her experience during the atrocities in Rwanda in 1994 and was on the New York Times bestseller list for many months. “Refuge” was the third of four CDs that I’ve produced for Annie. Around 10 or so years ago, Annie met Donna Cori Gibson at a Catholic music event, and because of my work with Donna’s music, I started producing Annie’s albums too. 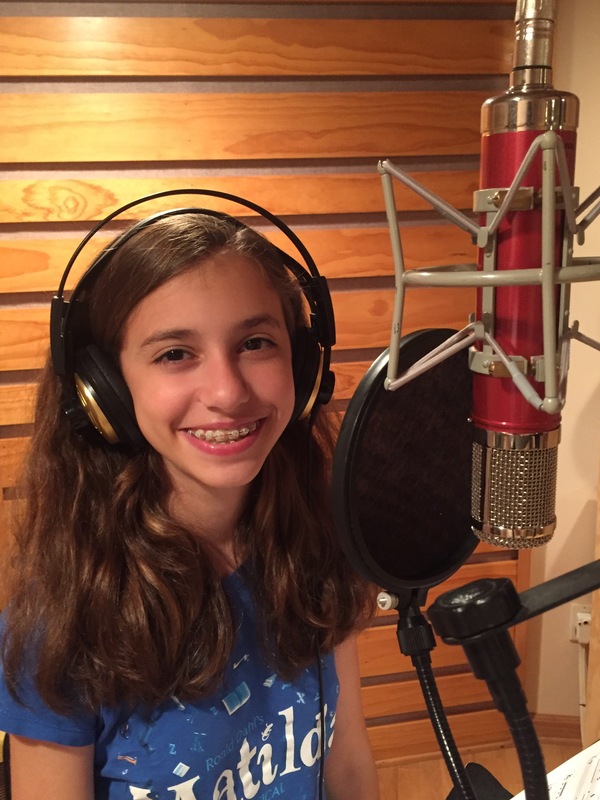 Since Annie lives in Florida, whenever we begin one of her CDs, there are usually a number of phone calls that involve Annie singing her new songs to me. I write down the melodies and any chords that Annie has in mind and then we discuss the instruments that might be involved in each arrangement. For “Song For Immaculee,” Annie wanted there to be some African elements in the music because of what her song was about. Up to this point, I only had minimal experience with African music and didn’t have any authentic sounds or instruments to use, except for maybe an udu drum, so I started to research what was available. I ended up purchasing Spectrasonics’ “Heart of Africa” sample CDs, Volume 1 & Volume 2 and Native Instrument’s Kontakt sampler to play them in. “Heart of Africa” Volume 1 is described as “An unprecedented sonic expedition into the rich musical heritage of Africa… a fascinating compilation of strange & wonderful instruments, voices, and performances that evoke deep images & primitive emotions.” Volume 2 features “rare performances recorded live at a two week tribal competition in Kenya. Authentic choir and vocal shouts, chants and polyrhythmic percussion ensemble grooves from the Maasai, Kikuyu, Meru, Pokot, and Nandi peoples. A collection of powerfully primal and untamed tribal ensemble phrases and SFX…” These are amazing sounds and I’ve used them on every project I’ve worked on since! When I first got the “Heart of Africa” CDs, I spent a few days exploring all of the different sounds in this incredible collection and began to program a track using as many African percussion sounds as I could for this song. Inspired by some of the African singing/chanting also included in the collection, I decided to incorporate some of these sounds into the end of Annie’s song to really bring the listener to Africa. There were a few that I tried to fit into my arrangement, but only one set of samples worked perfectly with the particular tempo and key I was dealing with. At 4:41 into the song, you can hear an African man singing followed by a group of people responding. I kept going with this call and response until the song faded out. To musically connect this African singing into the rest of the song, I used the melody that the African man sang in the string arrangement. Listen to the opening cello phrase in the song’s introduction. The cello is basically playing what the African man sang. This theme happens again in the violin at 1:30 and again in the cello at 2:46. Using this melody in the strings foreshadows the African vocals at the end of the song, so when they finally appear it somehow sounds like what they are singing belongs, musically. At least, that was my intention… Abe Appleman played the violin and Dave Eggar played the cello. In addition to programming the African sounds, I also played electric bass and synthesizers. To have some traditional and authentic live African percussion added to what I programmed, John Arrucci improvised parts with his Frikywa (grello bell) and Talking Drum. Peter Calo finger picked the acoustic guitars – Annie is first and foremost a folk music singer/songwriter, like a Joan Baez. The uplifting flute solo was performed by Eric Eaton. This song and the entire “Refuge” CD was mixed by me in my studio and was mastered by Richard Morris at Asbury Media. “Goodnight My Hero” was born from a moody piano sketch that Victoria Faiella was drawn to. Time passed and Victoria came up with some ideas that didn’t stick. And then, tragically, unexpectedly — her father passed away. Translating loss to art, beautifully melodies and lyrics came forth, set to an emotional string arrangement. The fourth track on my SoundCloud Playlist is “Goodnight My Hero” by Victoria Faiella. Victoria and I have written a number of songs together over the years. At one point we decided to see if I had anything in my “pile” of unfinished compositions that might be a good starting point for a new song. I went through what I had and chose a few things to play for her on the piano over the phone. When she heard me play a certain moody piano sketch, she immediately said “I want that one!” So I recorded what I had and sent it to her to see what she could come up with. Time passed… Victoria came up with some ideas but she wasn’t that excited by any of it yet. And then, tragically, her father passed away unexpectedly. Some time after this happened, it became apparent that we would be writing our song about her father. Although it was very difficult for Victoria, beautifully melodies and lyrics came forth. We tweaked everything over the phone and I created a new piano part for the bridge. We finished the song and recorded a demo of it with piano and vocal at my studio. It was a very beautiful and emotional song and I was very proud of Victoria for allowing herself to translate her loss into art. 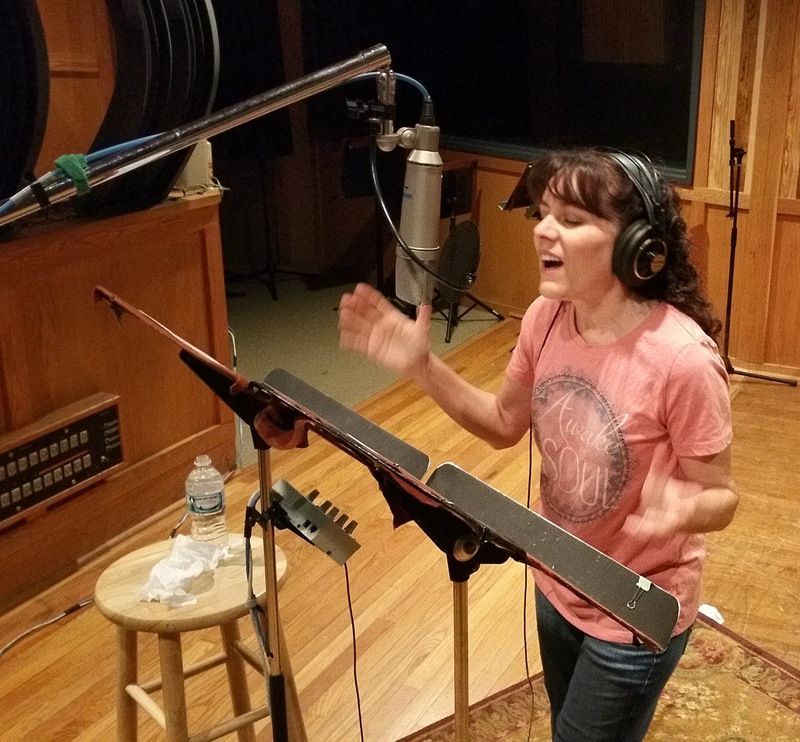 We re-recorded “Goodnight My Hero” for Victoria’s Wild Butterfly CD and I added a very emotional string arrangement. This may be my favorite recording on the album. 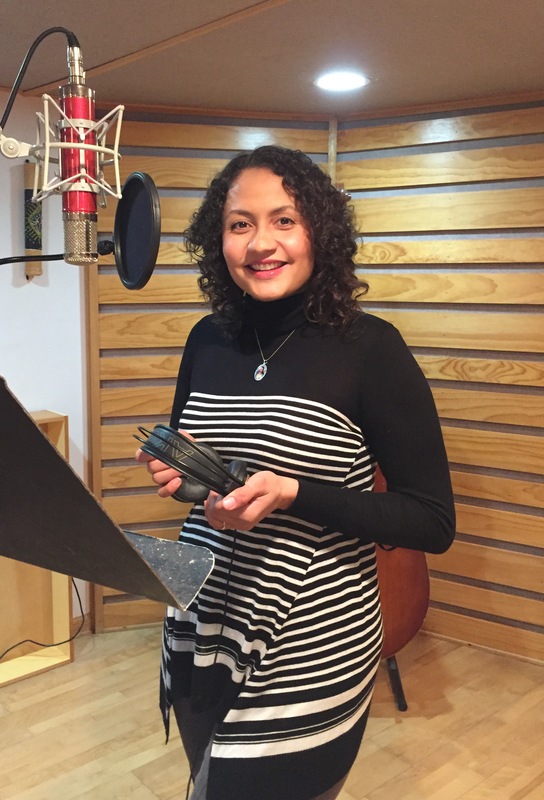 First I recorded Victoria singing with Jason Crosby accompanying her on the great Steinway D piano at Systems Two Recording Studio. We recorded all of the piano songs for the CD that day. See the string quartet recording part of “Goodnight My Hero” on a facebook video. Peter Moshay completed the mix at A-Pawling Studio. Victoria Faiella’s version of War Pigs taps into middle eastern themes and instrumentations. These changes reflected the song’s lasting relevance when it was recorded in 2011, and expressed Faiella’s sorrow around the wars in Iraq and Afghanistan. The Black Sabbath intro was replaced with floating middle eastern melodies. The third track on my SoundCloud Playlist is “War Pigs” by Victoria Faiella. The wars in Afghanistan and Iraq were weighing heavily on my heart & mind. Like so many people, I too was often debating the issues with family and friends. One morning as I was having a cup of coffee getting ready to start my day I found myself singing the timeless Black Sabbath song War Pigs. I was profoundly struck and saddened by how relevant the lyrics still are to this day… so many years later. I knew that I wanted to include one cover on the newest CD that I was getting ready to record and believed it was going to be a top contender. 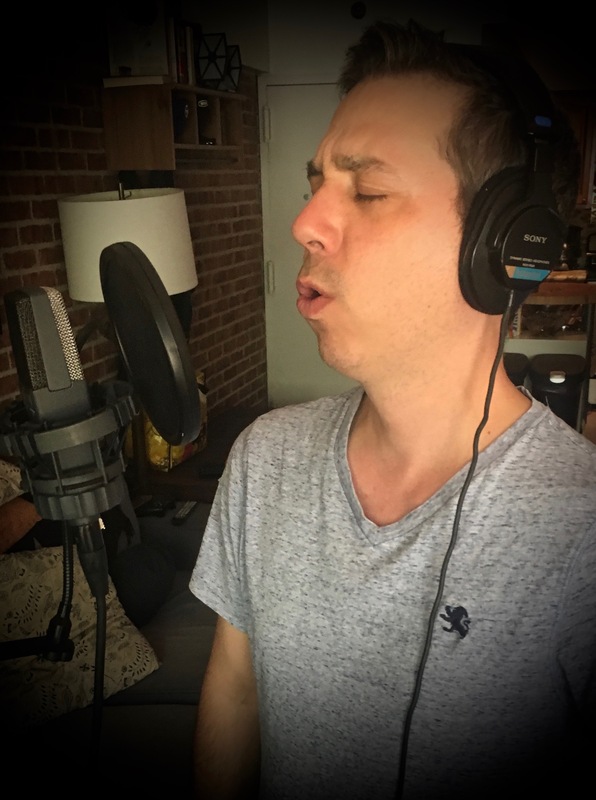 After discussing the option of covering the song with my producer Barry Hartglass we knew we wanted to somehow reinvent it and modernize it in a way that reflected the timeliness of the lyrics and still fit in cohesively with the rest of the material on the CD. The end result is a Middle-eastern styled version of the song, stripped down to voice, a string quartet, fiddle, world percussion and some Middle-eastern instruments – the Persian Santur, Duduk & Zourna being most noteworthy. Changing the original line, “In the fields are bodies burning” to “In the desert bodies burning” further drives home the point and undoubtedly refers to our modern day world issues. The idea of “Middle-eastern styled arrangement with string quartet” was definitely a unique concept and to me this justified the creation of yet another version of this song, as several remakes have already been recorded. The first thing I did was transcribe all of the parts from the original Black Sabbath version and then considered what sections and parts would be used and how I would transform them to work with our concept. I decided not to use Black Sabbath’s intro and created a new intro instead. I took the guitar riff from 5:44 on Black Sabbath’s version and had a Persian Santur sound play that part. I looped it in the intro for 16 measures. The Persian Santur samples I used in my Kontakt sampler were created by Precisionsound. Also, for the intro, I found and modified a couple of cool drum and percussion loops from Spectrasonics’ Stylus RMX and elsewhere. And there are some Gong sound effects too… Originally there was a dumbek loop in there too, and this was ultimately replaced when Dave Anthony recorded all of the live percussion later. I copied the form from Black Sabbath’s version from 0:52 – 4:19 and programmed some temporary drums. During the solo section, I added a sitar drone from the virtual instrument, East West Quantum Leap Ra. Instead of using Black Sabbath’s sections from 5:44 on, I used my intro sounds again for the ending. At this point, the form for my arrangement was mapped out. I recorded Jason Crosby doing his fiddle solos in my studio while he was also here for organ overdubs on some of the other songs for the CD. If you look at the first page of the fiddle chart that I created, you’ll see that we originally only intended to have fiddle in the intro (and the ending) and in the solo section. For the solo section, I transcribed the first part and the end of the Black Sabbath electric guitar solo, and so Jason played those notes. but he improvised his own thing in between. For the last measure of his solo I wrote “go wild” and he did! For his improvising throughout, you may notice that in the chart it says E Phrygian #3. What is that? An E Phrygian mode is the third mode of a C Major scale. In other words, if you played a C Major scale (CDEFGAB) but started from the third note (E) it is called E Phrygian: EFGABCD. E Phrygian #3, however, is EFG#ABCD. G became G#. Any melody you improvise with this particular scale will sound middle-eastern. Anyway, once we heard how great Jason sounded on this song, we thought that he should also play in between the verses too where there would eventually be the string quartet. But I didn’t have anything for him to play along with yet in those sections except some percussion. But this was not a problem for Jason as he is an exceptional talent. Clearly a virtuoso musician. He played brilliant solos without any pitch reference. I played a few chords on the piano against his recorded solos to see how he did and everything he played was perfectly in tune and always the right notes. Amazing! I recorded the strings at Systems Two Recording Studio. To further exaggerate the Middle-east sound, I added a duduk and a zourna part. Both sounds are from the virtual instrument, East West Quantum Leap Ra. The duduk plays for the first time at 0:43 right after the intro and before Victoria first starts singing. The zourna plays for the first time at 1:58 right before Victoria sings about “Politicians.” You may not realize this, but the zourna part I played is actually taken from Black Sabbath’s electric guitar theme (in the E Aeolian mode) towards the end of their recording. Specifically, at 6:35. E Aeolian is the sixth mode of G Major. In other words, if you played a G Major scale (GABCDEF#) but started from the sixth note (E) it is called E Aeolian: EF#GABCD. I took their E Aeolian theme and converted it to E Phrygian #3 to go with the Middle-eastern vibe established throughout. Every F# became F and every G became G#. It was time for live drums and percussion. Dave Anthony came to my studio and I recorded him playing drums. Victoria choked the crash cymbal hits to make it easier for Dave concentrate on the hi hats! Dave also played a lot of world percussion instruments – dumbek (replacing my loop), djembes, tabla, bayan, riq and frame drum (while Victoria played Indian bells). I recorded Victoria’s vocals at The Barber Shop Studios using a vintage Neumann M269c tube mic. This was the winner of the crazy 9 mic shootout we had! The preamp was a Neve 1073 DPA and the compressor was an Empirical Labs Distressor. “She Was There,” about Jesus meeting his mother, features a forty-piece string section played by FAMES in Macedonia, and recorded over video conference. This piece was built around a one-man “percussion ensemble” to keep things organic before programming drums. Donna Cori Gibson arranged and sang all of her own vocal parts. The first track on my SoundCloud Playlist is “She Was There” by Donna Cori Gibson. I met Donna at the University of Miami School of Music my first semester there. Ever since then, we have created a lot of music together. I must have worked on more songs for Donna than for anyone else! She is one of the most talented singers and songwriters I’ve ever met. You can read her story here: About Donna. Over the years, I’ve produced a lot of religious (Jewish, Christian, etc.) and spiritual music. It doesn’t matter whether or not I am a follower of the particular artist’s belief system or not, but it does matter that I understand what they are trying to say so I can help them to say it with the most meaning and impact. This is always my goal. Donna’s most recent CD, The Way of the Cross, is a very EMOTIONAL collection of Catholic songs. There is a song for each Station of the Cross. The song “She Was There” is about the fourth station, when Jesus meets his mother – extremely heart-rending, poignant stuff! Donna arranged and sang all of the background vocals. When I initially started work on this song, I was under the assumption that the music was supposed to sound like a more modern version of what we did a few years earlier on the Prayers of the Great Saints CD. I created a rough track for Donna to sing to, as she was flying to NY to sing the first few songs at my studio. I programmed a basic music track using Digital Performer software with a temporary electric piano sound, a fretless bass sound, a synthesizer pad and some slick drums and percussion loops from Spectrasonics’ Stylus RMX program. Donna asked me to turn off the drums and then she sang her lead and background vocals. She wanted me to create a more organic and acoustic sounding track around her vocals. This CD was going to be different than Prayers of the Great Saints! The first thing I did to create a more organic sound, was record loops of myself playing most of the percussion instruments I had here: Bell, Cymbal, Dumbek, Egg, Frame Drum, Mini Bongos, Triangle, Udu & Wind Chimes. For awhile, this “percussion ensemble” functioned as the “drums” as I created other parts. These percussion instruments are still in the final version, and if you listen carefully you may be able to hear some of them. If I turned off the percussion, you would miss it’s contribution to the feel and sound of the final drums. Much later on in the process, I ended up programming an actual “drum set” track using Toontrack’s EZdrummer program. For 3 songs on the CD, we replaced my drum programming with Dave Anthony playing live drums, but on this song and a few others, Donna decided that my drum programming was what she wanted. This was the first CD that I used EZdrummer on. I like this program a lot. It comes with useful sounds, beats and fills performed by great drummers, and everything can easily be assembled and customized for each song. The sounds of the drums and the amount of room sound can be adjusted as well. A synth pad is a sustained chord or tone generated by a synthesizer, often employed for background harmony and atmosphere in much the same fashion that a string section is often used in acoustic music. Typically, a synth pad plays many whole or half notes, sometimes holding the same note while a lead voice sings or plays an entire musical phrase. The piano on this song is a featured instrument. I played the part using the Steinway D piano from East West Quantum Leap Pianos. Since selling my 5’8″ Yamaha G2 grand piano, I’ve been doing piano parts in my studio with this software and it’s been working out for me. I chose these sounds after doing extensive “research.” I like having the sound of a 9′ Steinway D concert piano. I can hear the length of the long bass strings and I never had that with my 5’8″ piano, although I did love that piano! Also, since I’m now programming my piano parts, I am able to change the part easily at different stages of the arranging process. I don’t need to set up mics anymore or have the piano tuner come over every time I need to make a change to a part. However, sometimes a real piano is required and there are some great pianos that I’ve recorded at various commercial studios throughout the tri-state area. Staying with my original concept, I chose to play fretless bass on this song. When I want the bass to be more nondescript, rock or funk sounding, I’ll use my fretted electric bass. But sometimes I want the bass to have more of a lyrical voice with personality and this is when I reach for the fretless, like on this song. You can hear me sliding around the neck and playing somewhat noticeable fills throughout. On some of Donna’s past CDs, I’ve created orchestral arrangements and programmed the parts with sounds from Peter Siedlaczek’s Advanced Orchestra. There was a lot of this on A Traditional Christmas. Since then, I’ve also been using orchestral sounds from Vienna Symphonic Library and East West Quantum Leap Symphonic Orchestra. Some people may not be able to tell the difference between these sounds, if programmed well, and a real orchestra. Regardless, for the highly emotional and dramatic requirements of the music on this CD, I knew that at the very least, the strings needed to be performed by live musicians, and lots of them! I’m so pleased that this was able to happen on this project as it really made a big difference. Some of the songs featured a string quartet and others like this one featured a 40 piece string orchestra. 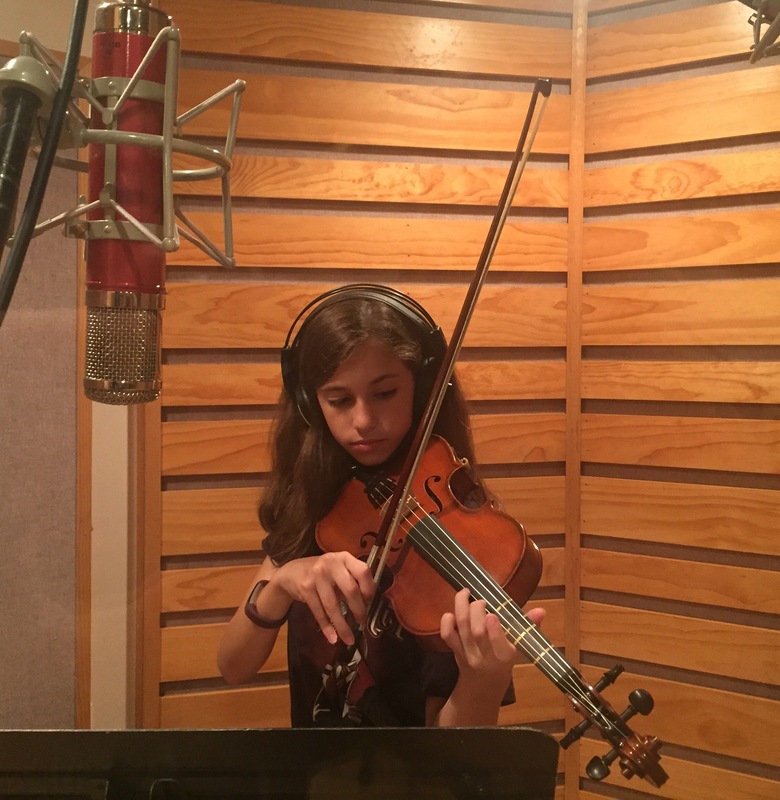 We decided to hire FAMES from Macedonia to perform and record the strings. After writing the arrangements, using pencil and paper, I programmed my orchestra sounds as best as I could so that Donna could hear what it was going to sound like. Once she signed off on all of my arrangements, I meticulously entered every note from my hand written scores into the computer using Finale music notation software. After proofreading everything several times, I created pdf files of all the scores and parts and uploaded them to FAMES’ server along with Pro Tools files containing stereo music and vocal tracks and a click track, for the orchestra to play along to. On the day of the orchestra session, which was a week after the string quartet session, they recorded the string arrangement for “She Was There.” I was able to hear and see the orchestra and talk with Oleg, the conductor, and Laurent, the manager, all through my computer. Amazing! FAMES did a beautiful job playing this music. The next day I downloaded the Pro Tools files from FAMES and then I edited and mixed the live string tracks, replacing the programmed string sounds. The human element completely created a whole other level of emotion and feeling that was not there before! The impact of Donna’s message started coming to life in a big way. Originally, my arrangement was scored for solo violin with the orchestra. At the string quartet session a week before the orchestra session, Oleg recorded the solo violin part to this song. It was beautiful, but after some time passed we decided to try a viola instead to see if it might fit the song even better. When Abe Appleman came over to record some violin and viola parts for the CD, he recorded the same violin solo for “She Was There” but with his viola. The darker sound of the viola was richer and more sorrowful and so we went with that instead. Donna always loves french horns! The horns on this recording are sounds from East West Quantum Leap Symphonic Orchestra. With the live strings in the mix, these horns are very convincing sounding to me. All of Donna’s vocals were recorded in my studio. We chose to use record all of the vocals with an Audio-Technica AT4047/SV microphone. As always, Donna beautifully arranged and sang all of the background vocal parts. My goal in this blog is to provide some interesting, informative and useful content that will answer many questions and also present new concepts, techniques and solutions. On this site I will be sharing creative as well as technical information. To start, I’ll be talking in detail about the 12 recordings on my SoundCloud Playlist. These are selected recordings from 6 CD projects I produced in the last 5 years. This playlist features many different styles of music so there is a lot to talk about!